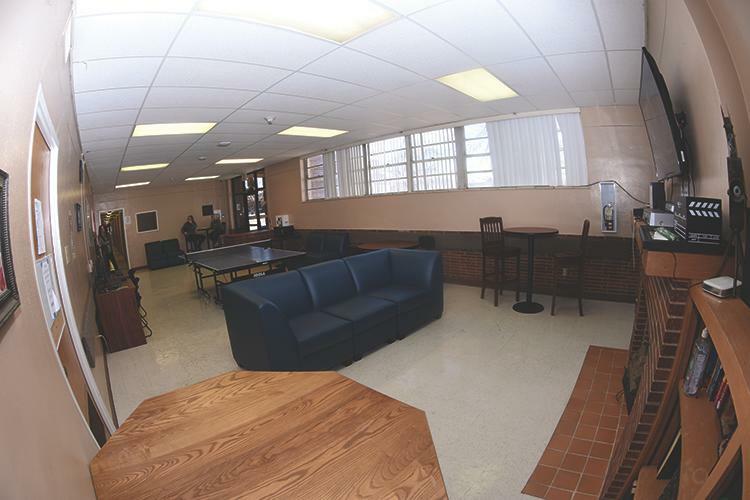 Forrest, Frazier, and Stroud halls are identical in floor plan and furnishings. 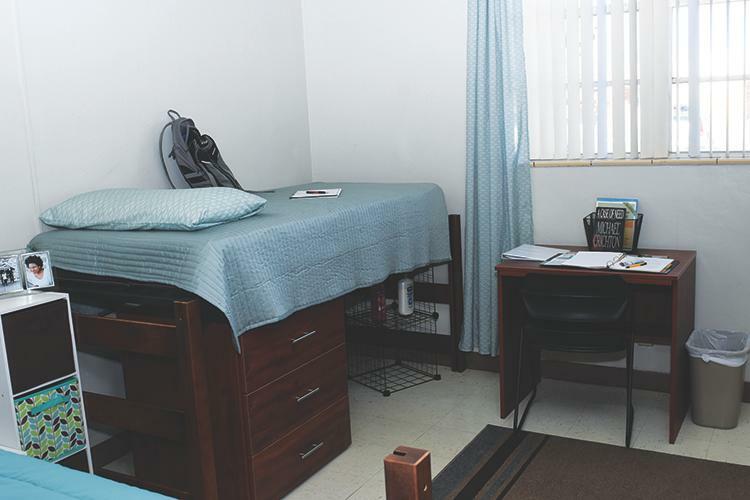 Each room houses two men and is furnished with extra-long twin beds, a desk, chests with drawers, wardrobe closets, and a vanity with a sink. 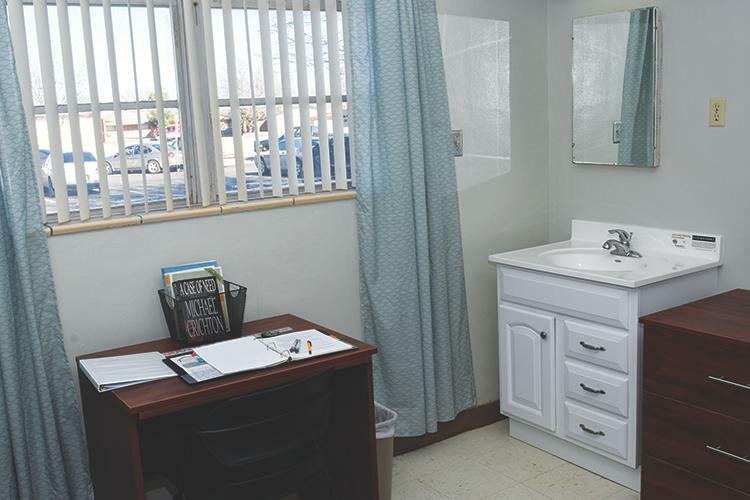 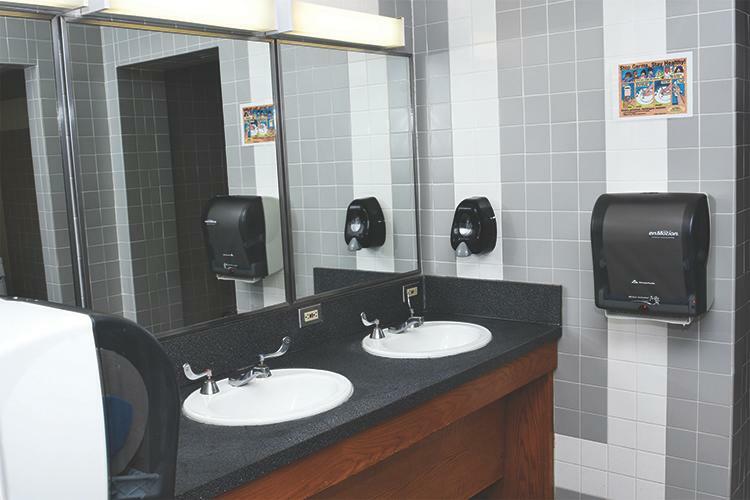 Community bathrooms are located in each wing. 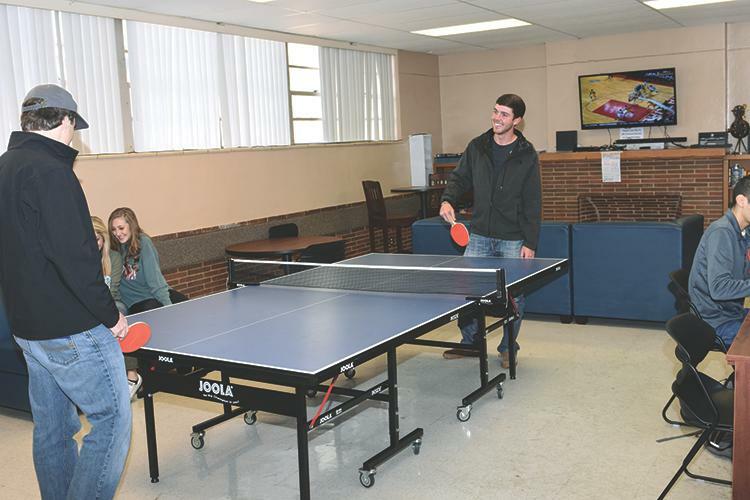 Other amenities include a lobby area with a television, lounge furniture, ping pong and pool tables, and computers. 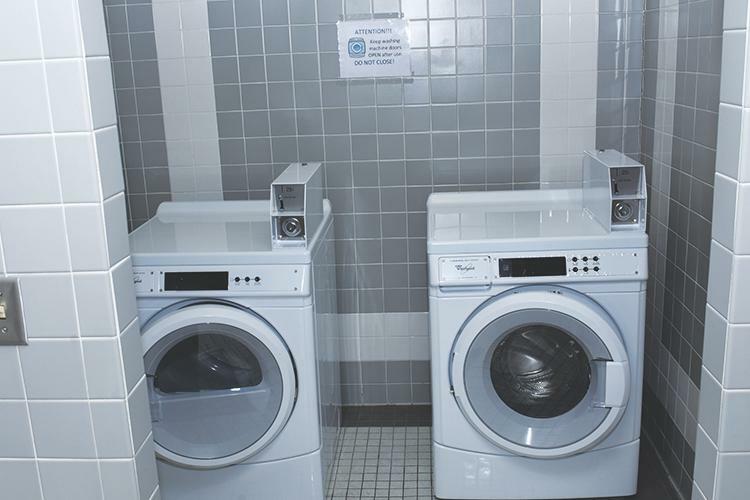 Each hall also has vending machines and laundry facilities.